COOPERSTOWN – David M. Wilfeard, 63, of Cooperstown, passed away on Tuesday, March 27, 2018, at Bassett Medical Center surrounded by his loving family, following complications stemming from the treatment of lung cancer. David was born at Bassett Hospital in Cooperstown on September 7, 1954, a son of Herbert and Irene (Childs) Wilfeard. He attended Cooperstown Central School, graduating with the Class of 1973. He married Elizabeth Stager on May 21, 1983. 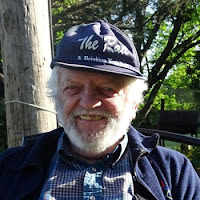 David lived in the area all his life, working in the past as an account clerk typist in the mid 1970s for Otsego County, as an administrative assistant at The Meadows from the late 1970s through 1992, and most recently, as a Facilities Manager at Basset Hospital until 2004. He was a people person, always stopping to say hello and offer a helping hand if he could. A very generous, loving, kind-hearted man, he loved going out to the local stores and seeing his “peeps”, as he called them. It was always one of the highlights of his day. He was a wonderful son, brother, uncle, husband, father and more recently, grandfather, a title he loved and cherished, as he doted on his granddaughter, Emma. He will be truly missed by many. He was predeceased by his father, Herbert in 1983; his mother, Irene in 2014; and his brother Bernard Wilfeard in 1999. He is survived by his wife of 34 years, Elizabeth Wilfeard; his daughter, Ashlie (Albert) Dawson and their 1-year old daughter, Emma of Cherry Valley; his son, Jon-Michael (Caitlyn George) of Davenport and his son and namesake, David Wilfeard II of Cooperstown. He is also survived by his mother-in-law, Elizabeth Stager and sister-in-law, Linda Stager of Cooperstown; his brother, Bradley (Kathie) Wilfeard and niece Andrea Wilfeard; his sister-in-law Judy Wilfeard and niece and nephew, Renee (Brian) Wilfeard-Duda and Bernard (Jessica) Wilfeard and their children; his sisters Peggy (Alan) Basile, Holly (Ed) Pearsall and niece and nephew Ashley (David) Schook and Aaron Pearsall, and Deanie (Ronald) Swift and nephew Ronnie Swift, as well as many other nieces, nephews and cousins. A funeral service will be offered at 1 pm on Saturday, March 31, 2018 at the Connell, Dow & Deysenroth Funeral Home in Cooperstown with Rev. Betsy Jay, Chaplain at Bassett Medical Center, officiating. Friends may pay their respects at the funeral home from 11:00 am until service time on Saturday. In lieu of flowers, the family requests that memorial gifts be made to Catskill Area Hospice and Palliative Care, 297 River Street Service Road, Oneonta, NY 13820 or Susquehanna Animal Shelter, 4841 State Highway 28, Cooperstown, NY 13326. MIDDLEFIELD – Josephine Rosalie Martucci of Middlefield passed away Sunday March 11, 2018, with her children by her side. She was born November 10, 1930, on Staten Island, daughter of Fredinando and Antoinette (Rendittis) Ciaburri. Josephine married the love of her life, Anthony Martucci, in 1951. They shared 61 wonderful years of marriage. A graduate of New Dorp High School on Staten Island, Josephine was employed by Chin and Lee Chow Mein Company in Manhattan until beginning a family. As her children grew up, she worked various jobs until retiring as a school bus matron on the bus her husband drove. In 1993, they moved to Middlefield. Josephine was a devoted wife, mother, grandmother and great grandmother-her family was her number one priority. She was a collector of dolls and clowns and enjoyed word search puzzles, shopping, reading and watching TV. Everyone who knew her enjoyed her feisty disposition and sense of humor. She was predeceased by her husband Anthony in 2012; her sons, Anthony in 2005, and Joseph in 2009, and her brother Dominick. Josephine is survived by her children, Barbara Martucci of Manhattan, James Martucci of North Carolina, Richard Martucci of Middlefield and Frederick Martucci of Rockland County; two brothers, Salvatore of New Jersey and Anthony of Kentucky; two daughters-in-law, Ann of New Jersey and Drema of Illinois; 12 grandchildren and three great grandchildren. Josephine’s family would like to thank Catskill Area Hospice and Palliative Care and Doreen from Home Care Partners for the loving care given to Josephine. A memorial for Josephine will be held by the family in the summer. Memorial donations may be made to Catskill Area Hospice and Palliative Care, 297 River Street Service Road, Oneonta, NY 13820. If you would like to send a condolence message to Josephine’s family, you may do so at www.cooperstownfuneralhome.com or www.thedailystar.com. COOPERSTOWN – Stephen Hammond, Jr., 83, of Cooperstown, died February 28th at Bassett Hospital after a long bout with cancer. Known to all as Buddy, he was a familiar figure at local hotspots such as the Cooperstown Diner, and was known for his outgoing personality and wonderful story-telling. During his working years he was a teacher and school principal, and also ran two craft and jewelry stores on Main Street in Cooperstown with his wife Jean, The Hammond Gallery and Silver Shop and Silver Rings and Country Things. He was also a published writer, an artist and musician, a golfer, an antique collector and a Yankees fan. He loved life and lived it to the full. Buddy is survived by his loving wife of over 60 years, Jean, a jeweler and craftsperson who was a vendor at the Cooperstown Farmer’s Market for many years. He had four children, Stephen, Matt, Topher and Carol, along with three grandchildren, Stephen, Jimmy and Thea, and two great grandchildren, Malia and Talia. Buddy also had numerous other relatives and a pet Newfoundland name Howard. All will miss him dearly. COOPERSTOWN – Mary Sue McMurdy, 83, of East Syracuse, passed away suddenly February 28, 2018, at Focus Rehabilitation and Nursing Center at Otsego. She was born August 12, 1934, in North Harpersfield, the daughter of Harry and Marjorie Hedman. Following graduation at Jefferson Central School, Mary Sue attended nursing school at Kingston City Hospital and graduated in 1955. She served as a Registered Nurse in Ithaca. 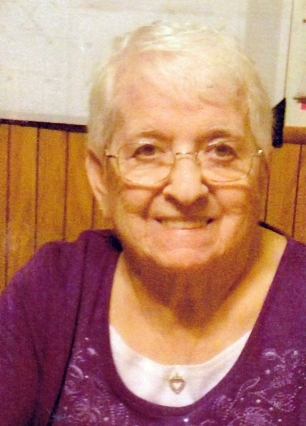 She was active in Home Bureau activities and the Brooktondale Fire Department. Mary Sue enjoyed painting and crafts and excelled in sewing and crocheting. When moving to Fremont Hills, East Syracuse she used these talents as a long time Girl Scout Leader. Mary Sue is survived by her husband of 62 years, Lloyd, a resident of Focus; two daughters, Marjorie A.M. Struckle and husband David of Jordanville and Cheryl Kane and husband John of East Syracuse; three grandchildren, Melissa Struckle of Cobleskill, Danielle Kane of Buffalo, and Jeffrey Kane of Providence, Rhode Island; a brother, Edward Hedman and wife, Linda of Averill Hill; a sister-in-law, Lillie Koenig of Sidney; and numerous nieces and nephews. She was preceded in death by a brother, Robert Hedman of Stewart, Florida. Family and friends are welcome to pay their respects from 4-6 p.m. Sunday, March 4, 2018, at the Connell, Dow & Deysenroth Funeral Home, 82 Chestnut Street, Cooperstown. At 6 p.m. there will be a brief funeral service with the Rev. Thomas LeBeau, pastor of Cooperstown United Methodist Church, officiating. Following the service the family will receive visitors at Focus Otsego. Burial will be at a later date in White Chapel Memory Gardens in Dewitt. The family would like to thank all the staff at Focus for excellent care of Mary Sue during her stay there. Also, special thanks to the Brookdale East Assisted Living in Fayetteville where she loved spending the past year. In lieu of flowers memorial donations may be made to Geriatric Emergency Medicine (GEM Care) at Upstate University Hospital at Community Campus, 4900 Broad Road, Syracuse, NY 13215.